At Sa Torre de Santa Eugènia you will experience the best of agritourism, and will quickly find yourself absorbed in peace and tranquillity. They have converted the large 15th-century wine cellar into their restaurant, mixing many of the original features with elegant decoration. Sitting next to a huge wine barrel can initially feel a bit surreal, but ultimately adds to the ambience and helps to create a unique dining experience. If you ever fancy a break from relaxing by either of their pools, then they have over 5000 square metres of traditional Mediterranean gardens waiting to be explored. The native vegetation and beautiful pond attract plenty of local wildlife for you to discover. The central location makes Sa Torre an ideal base for exploring the island, with several beaches, and the Serra de Tramuntana all within a short drive. 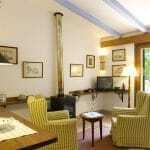 The apartments also maintain the traditional look, and feel very homely and welcoming. 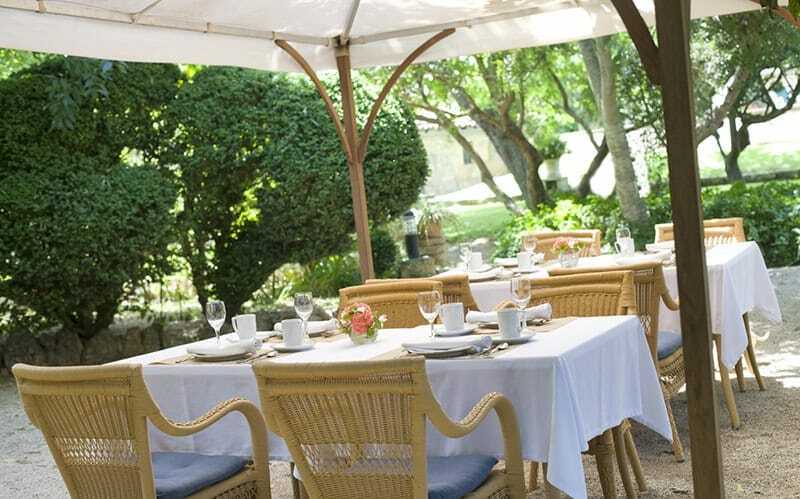 Each apartment features its own terrace, which provides views of the hotels gardens and the Serra de Tramuntana. We Love… A private breakfast served on the terrace of your apartment. Why you should stay here… If you want a peaceful haven from which to explore the island. Good to Know… Nearby Santa Eugènia hosts a traditional Mallorcan market every Saturday from 08:00h. 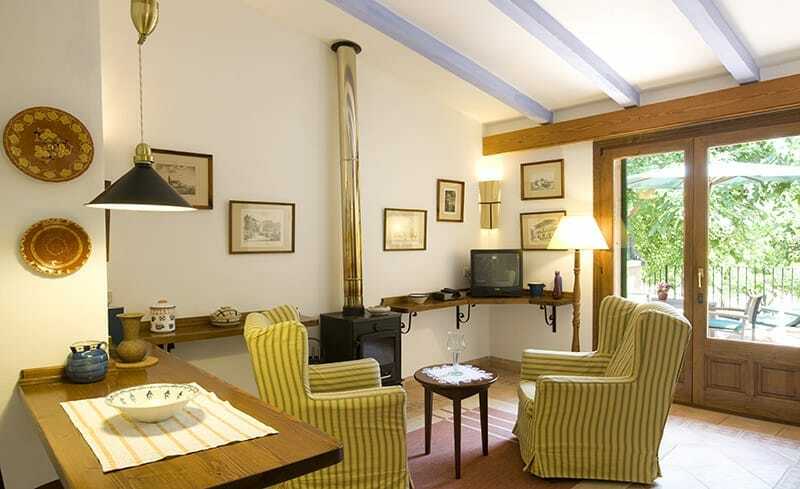 We hope you have found this article about Sa Torre de Santa Eugènia useful and that you have many memorable stays in Mallorca as a result of our recommendations. 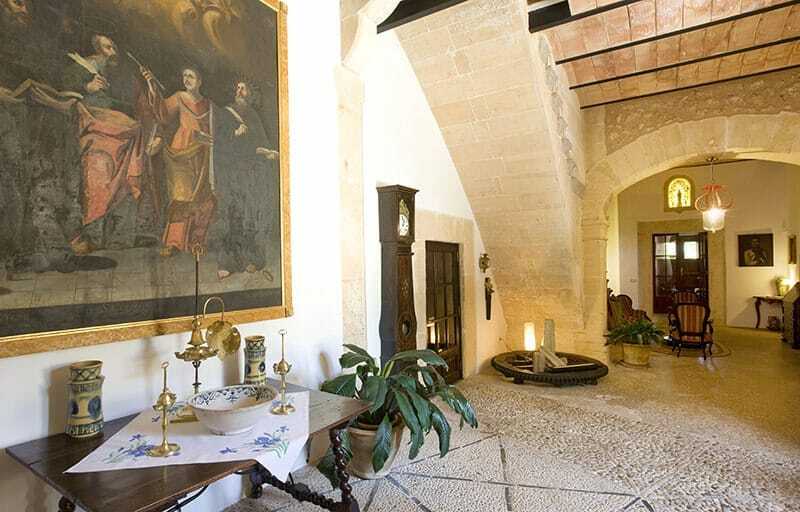 We hope you have found this article about the Sa Torre de Santa Eugènia useful and that you have many memorable stays in Mallorca as a result of our recommendations.